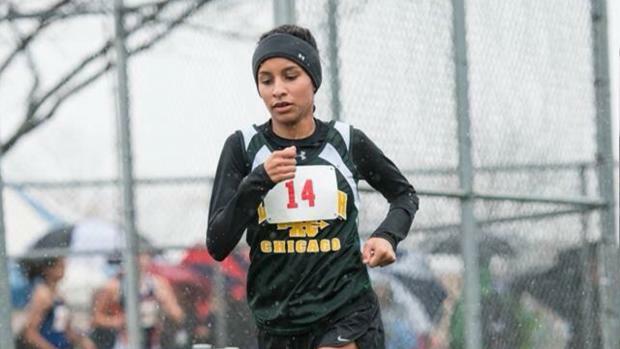 Karen Dorantes is a graduate of Lane Tech HS in Chicago where she competed in track and cross country. Karen is currently a sophomore at Malcolm X College. You will find her covering meets in the Chicagoland area. Karen wanted to be a Milesplit intern because she fell in love with the sport early on in high school, after taking a year off due to injuries she believes this internship is a good opportunity to jump back into the sport again. She looks forward to being in a competitive atmosphere again while also being able to cover the meets. An animal that best describes Karen is an ant because it is small yet smart and very strong! She thinks the best event in track and field is the1600m. Her favorite sports team is the Chicago Cubs, while the food she enjoys most is Chinese. She is team iPhone and thinks the best running shoes and sprint spikes are made by Nike.